Upside Down In Your Mortgage? Behind On Payments And At Risk Of Losing Your Home??? Click here for FREE information and to explore your options! Buying in the Las Vegas area? Search Homes Now FREE! Get access to view every available home in the area. Click here to begin your search for your perfect home or real estate property in the Las Vegas area! Click here to find out how much you can get for your property. Let me provide you a Comparative Market Analysis(CMA) with the sales prices of other similar properties in Las Vegas, North Las Vegas, and Henderson! Las Vegas real estate can be very tricky because the city is much larger and more varied in pricing than one might think. Monopoly Realty is extremely knowledgeable in all aspects of Las Vegas real estate including new construction, foreclosures, short sales, and more. Las Vegas is a large area comprised of different neighborhoods all of which have unique qualities - which is why it is important to enlist the help of a Las Vegas realtor. Las Vegas short sales are a specialty of ours here at Monopoly Realty. When shopping for Las Vegas short sales, it is advisable for the buyer to look at short sales where the home has been well-maintained. While you might be getting a discount, you don't want to fall in love with a home until it has been shown to you. This is why working with us is extremely important. We research and do all the work for you to ensure you only see the best quality listings available. Las Vegas real estate can be a complicated market, but you don't have to resign yourself to being confused and lost in the city. We are here to help. We can find you a new home, help sell your old one, and we can even handle your short sale if need be to make your home shopping experience as stress-free as possible. Contact us today for more information about Las Vegas, North Las Vegas, Henderson, and surrounding areas. 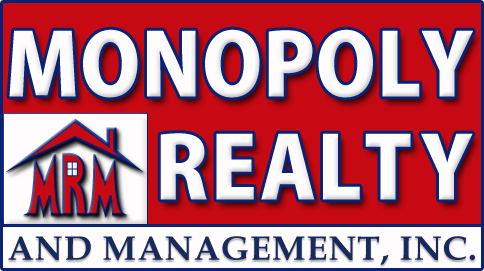 Monopoly Realty and Management is family owned and operated and has been in Las Vegas for over 25 years! We have exceptional expertise in helping you buy, sell, short sell or relocate to a home in the Las Vegas area. We also have excellent knowledge of homes in Summerlin, Green Valley, Anthem, Seven hills, Aliante, Mountains Edge and other outlying communities! We're located in Silverado Ranch at 9620 S. Las Vegas Blvd. Unit E-12 Las Vegas, NV. 89123. You can feel free to give us a call or stop in and see us! Buying, selling, short sales, and short selling in Henderson NV. including Green Valley homes, Anthem homes, and seven hills homes and real estate. Buying, selling, short sales, and short selling in Las Vegas, NV. to include Moutains Edge homes, Summerlin homes, and Centennial Hills homes and real estate! Buying, selling, short sales, and short selling in North Las Vegas, NV. to include Nellis Air force Base, and Aliante homes and real estate! If you have further questions about the Las Vegas area or Las Vegas real estate markets, please don't hesitate to call Monopoly Realty at 702-777-3000 or send an email.